Single-use – One method that definitely protects you from harmful bacteria infections is single-use. That means that the tools used come directly from the manufacturer, who had to follow certain sterilization standards in fabricating and packaging the items. 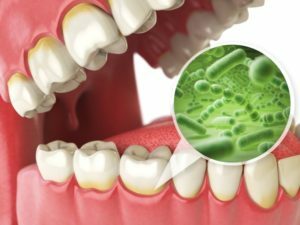 Thus, when they are utilized for treatment by your dentist and then discarded, there is far less chance for contamination. Sterilization – For tools that have to be reused, your dentist follows strict guidelines for killing bacteria and then storing the instruments for future usage. Additionally, your hygienist will wear a mask, gloves and other protective clothing to provide an even more controlled environment to protect you. Even with these protocols in place, you should ask questions to address any concerns you may have. Your dentist and hygienist will be happy to reassure you with answers. How are tools stored after usage? What type of quality control is used to make sure everything remains safe? How is the office environment kept clean to ensure patient safety? Additionally, you should observe your dentist’s office at your first visit. Does it visually look well-kept? This is important because cleanliness is an all-encompassing reality. Thus, the same attention directed at keeping the lobby and bathrooms clean will more than likely go into maintaining the equipment and instruments used. It’s common to have a level of apprehension about visiting your dentist, but by considering the above tips and information, you can get the dental treatment you need and prevent the host of oral health problems that are always looming on the horizon, while feeling comfortable in knowing that your dentist has taken the necessary steps to protect you. To learn more about how your North Valleys dentist can provide you with safe and clean treatment, reach out to schedule an initial visit today. Sage Dental Care focuses on providing high-quality dental care in a comfortable setting. We believe in always being there for our patients and keeping the environment clean and safe. For all of your dental needs, we are here to guide you back to a healthy state. To learn more, contact our office today!